1. 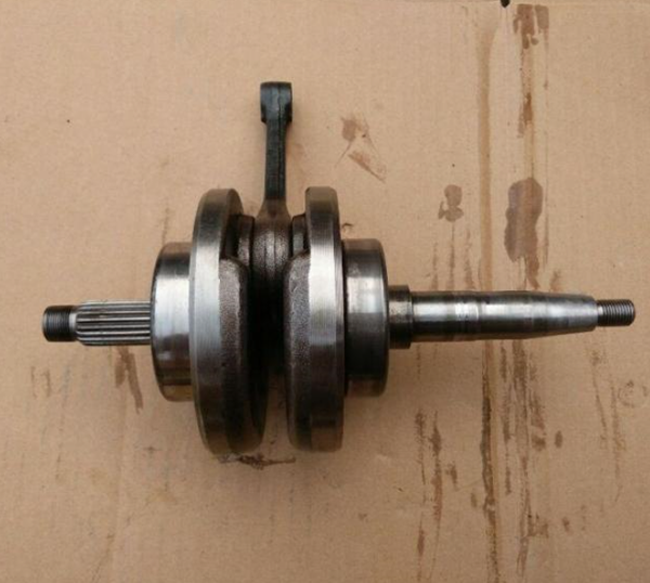 The Crankshaft with all new material ,we never use recycle one. 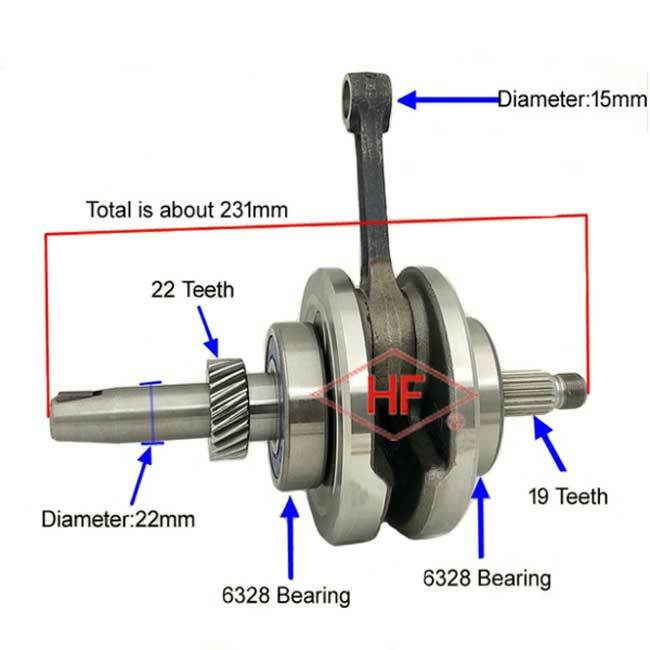 2. all of Crankshaft Bearing with Big brand Bearing no noise and long life. 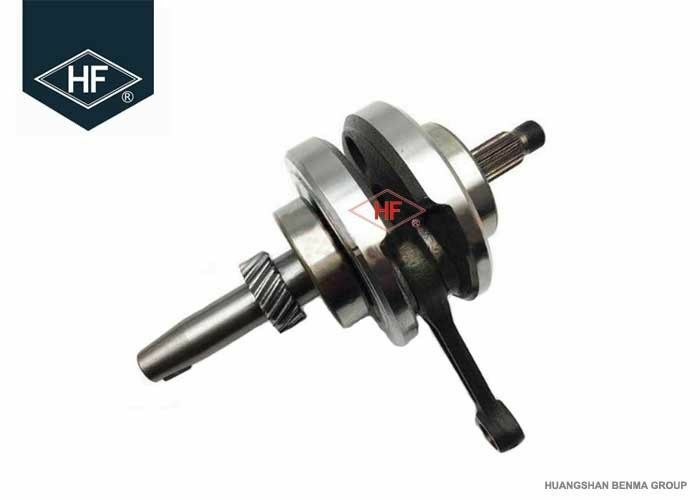 Here more difference models of motorcycle crankshaft for choose,original factory sell good quality crankshaft assy for HONDA,YAMAHA,SUZUKI,KAWASIKA,VESPA. 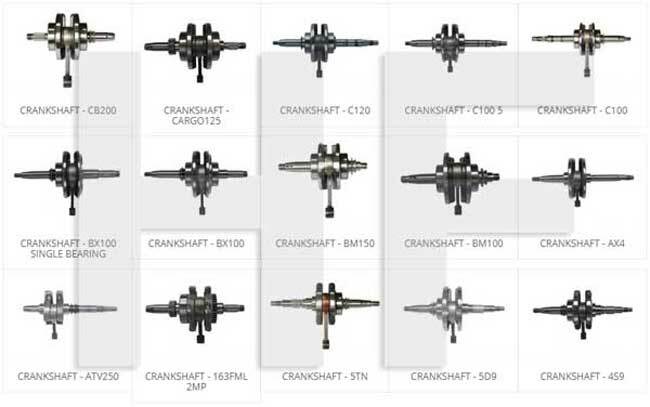 Except motorbike crankshaft,other CG125 motorcycle parts such as connecting rod,camshaft,rocker arm,cylinder,piston ring kits,main and counter shaft,starter shift...and so on. 1. We do more than 20 years motorcycle parts export,And we located in Chongqing,most of those engine spare parts direct from original factory. 3. We have long term cooperation shipping agent in Shanghai/Guangzhou/Ningbo port,it will save more time and money to pick up goods together and send out. 4. OEM available after you send the model drawing and we will design soon.